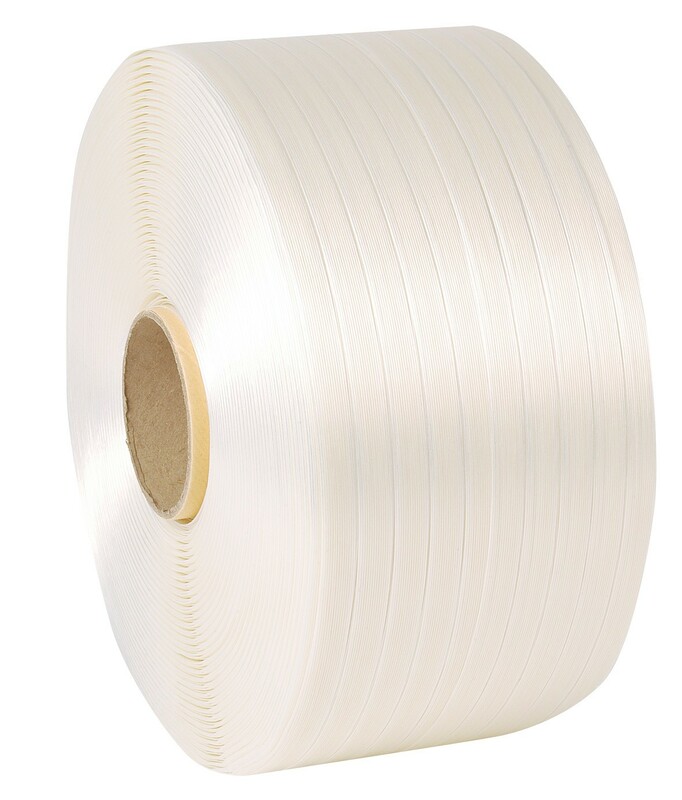 Hotmelt cord polyester strapping is excellent for strapping palletised goods. The strapping offers a higher breaking strain and system strength than composite strapping making it ideal for heavy duty applications. The strapping features a non-woven monofilament strap and a 78mm cardboard core. It is suitable for use with Safeguard® strapping buckles for ensuring optimum system strength. Manufactured to the highest of standards for a dependable, durable and professional finish.